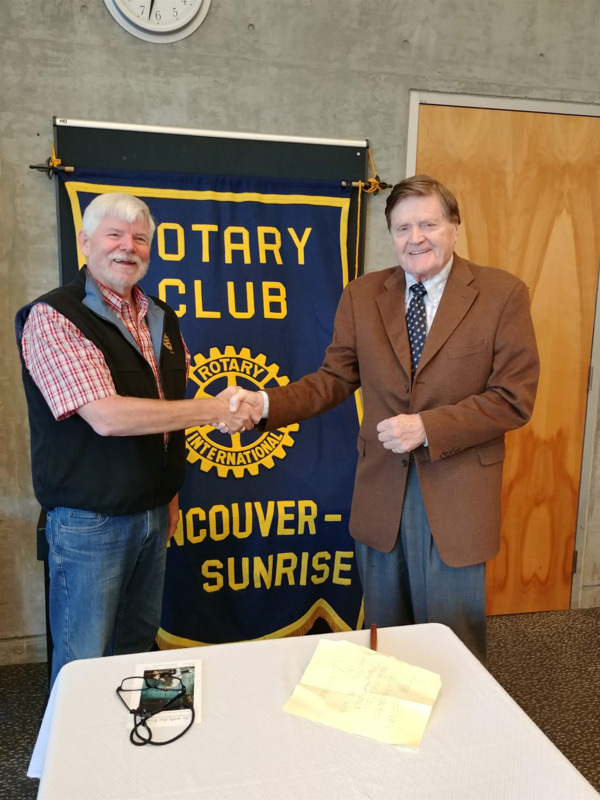 This week we welcomed 10 members as well as visiting Rotarian Larry Belsito, a former member of our club. The number 711 has a very special significance for Rotary. Room 711 of the old Unity Building, formerly located at 127 North Dearborn Street in Downtown Chicago, Illinois, USA, was the birthplace of Rotary. It was in that historic room, which was the office of engineer Gus Loehr, where Paul Harris first met with several friends, Silvester Schiele, Gustav Loehr, and Hiram Shorey, to discuss his idea of a club for professionals and businessmen. It took extensive research and dedication by a few Chicago Rotarians to preserve the room and restore it to its 1905 authenticity. For years, Room 711 was preserved as a miniature Rotary museum by Rotarians belonged to and contributed annually to the Paul Harris 711 Club, which provided funds for leasing, maintenance, and preservation. In 1989, when the Unity Building was about to be torn down, members of the 711 Club carefully dismantled the landmark room and placed its contents in storage. There it stayed until 1994, when the re-created Room 711 found a permanent home at the RI World Headquarters in Evanston, where this piece of Rotary's heritage is preserved. Our guest speaker today was Ralph Sultan, MLA for West Vancouver-Capilano. He provided his opinion regarding the upcoming referendum on proportional representation. Among his arguments against this change, he mentioned a recent report by the Fraser Institute that determined that changing to a proportional representation electoral system will lead to higher government spending and higher deficits.